What makes the perfect restaurant? It’s a combination of many things from delicious food, fun location and fabulous service. But there is one other vital ingredient: a Michelin star. Many stellar chefs aspire to the Michelin honour – but few attain them. 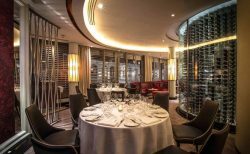 We track down 10 Michelin-starred restaurants from Petrus and Amaya, to Marcus and Dinner by Heston Blumenthal. They are the perfect place to relax, impress, or network. 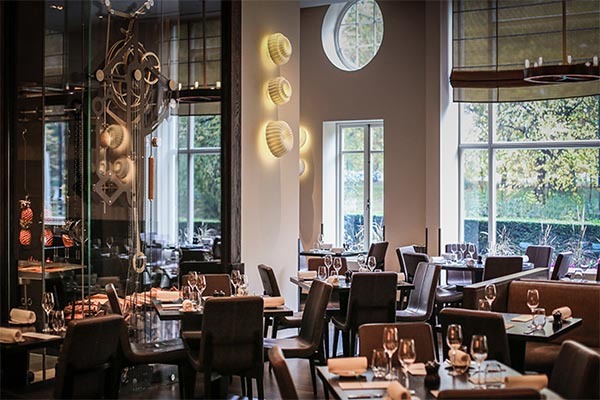 Set in the grand surroundings of the Mandarin Oriental, Heston’s innovative approach to traditional British food goes down well with diners, as well as the Michelin reviewers. They awarded the restaurant overlooking Hyde Park, the rare honour of two Michelin stars. This means it serves excellent food and is worthy of a visit. For outstanding and occasionally unusual pairings, this is the place to eat. The Michelin guide says that Gordon Ramsey’s Belgravia restaurant is a sophisticated and elegant. You will find it on Kinnerton Street, just off Motcomb Street. The food is modern French and the wine list is extensive and sometimes expensive. A bottle of 1982 Petrus would set you back £13,500, but you can have a glass of the 1996 vintage for £410. This Indian restaurant serves a new wave of exciting dishes inspired by the sub-continent, focused on grills and tapas-style plates. This approach means there are plenty of choices, so there will be something to please everybody. Set in the revamped Halkin Arcade off Motcomb Street, it’s one of just a handful of Indian restaurants to boast a Michelin star. 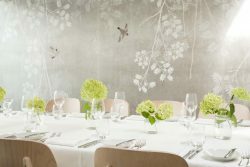 Top chef Marcus Wareing fuses the best of French and British cuisine at the five-star Berkeley Hotel in Wilton Place. Reviews are consistently excellent and television star Marcus himself is a hands-on patron wherever possible. His meticulous approach and impeccable food guarantee him many foodie fans. This restaurant, set in The Lanesborough, combines exceptional service with exquisite dishes. Bestowing its star, the Michelin Guide notes its consistent high-quality food with modern touches. The five-star Lanesborough sits on Hyde Park Corner, with views towards the park. The Goring Hotel quietly enjoys its Royal Warrant and is comfortably at home with its well-heeled reputation. The Dining Room, designed by David Linley, basks in the confident glow of executive chef Shay Cooper, who retains his Michelin star for “doing things properly, but without stuffiness”. Further afield, The Five Fields is a calm and understated restaurant that puts food centre stage. Talented chefs turn each dish into an event. Unobtrusive service from friendly staff and the freshest ingredients with impeccable references, combine to compel the Michelin inspectors to award it a star. They note that much of the produce comes from the restaurant’s own kitchen garden in East Sussex. This sleek, smart restaurant is located on the 28th floor of the Hilton, with spectacular views across Hyde Park and indeed most of London. 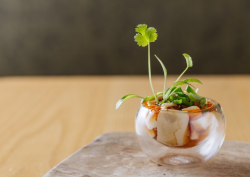 Head chef Joo Won brings a bold Korean twist to the French haute cuisine on the menu. His creative flair delights the diners and the panoramic view is simply a dream topping on the cake. 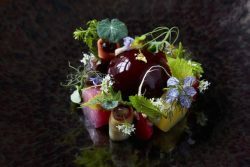 Chef Mark Kempson gained this restaurant’s first Michelin star in 2011, and has retained it for his take on “modern English with a French soul”. The six-course tasting menu costs £75, while a two-course lunch is £25. You will find this neighbourhood establishment just off Kensington High Street, behind a satin black façade. And finally, this modern Chinese restaurant encompasses dishes from all regions of that vast country. 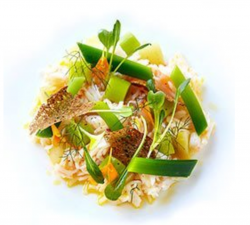 Inventive and inviting, Andrew Wong uses the best ingredients and keeps his prices pared back. You can pop in for a drink at the bar and a couple of choices of dim sum, or work your way through the extensive Taste of China menu for £90.